Chalk this up to one of the coolest performances by an artist on television. Maybe I am biased because I am a huge fan of Travis Barker, but this turned out real well. 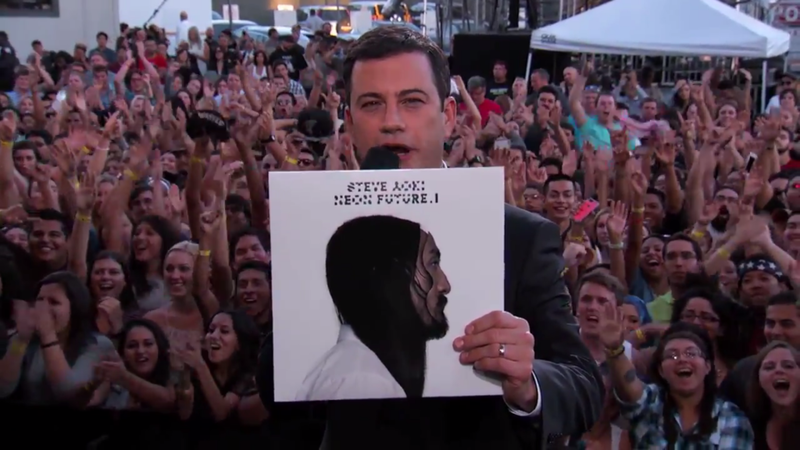 Last night (well yesterday when it was filmed), Steve Aoki performed “Rage the Night Away” on the Jimmy Kimmel Show with Waka Flocka Flame and Travis Barker. This is in celebration of the release of his new album, which I may say I quite enjoy. I know Waka Flocka Flame is getting into EDM, but I hope this is the start of more to come from Travis. I know he worked with DJ AM (Rest in Peace). Check out the crazy performance below! Bonus video of caking with Martin Short.